Philip Meyer is the Knight Chair in Journalism at the University of North Carolina at Chapel Hill. Precision Journalism is a must-read for journalists intending to do in-depth reporting in the 21st century—whether it involves polling, data analysis, or understanding complex reports. 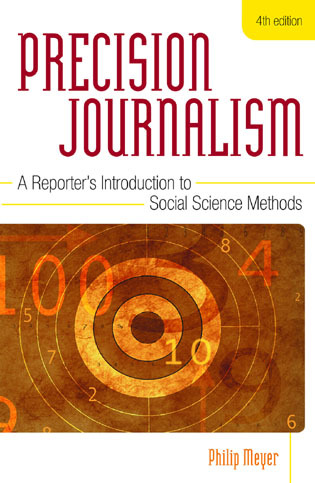 This updated edition clearly explains social science methods and how to effectively use them to increase the accuracy and credibility of news stories. Precision Journalism is the mother ship from which most other books on computer-assisted journalism were launched. 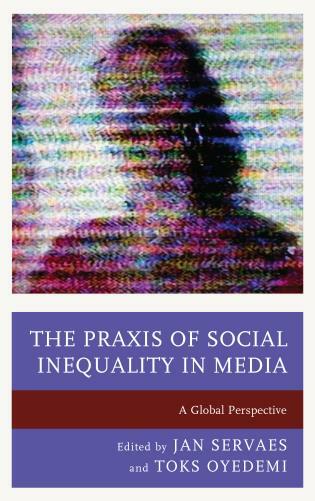 Philip Meyer not only encouraged journalists to learn social science methods three decades ago, but he also provided a clear, user-friendly book to get them started. Now in its fourth edition, Precision Journalism continues to be an important resource in the arsenal of tools available to journalism educators, students, and practitioners. In his professional mode, Meyer leads readers into becoming as comfortable with numbers as with words—data analysis, basic statistical procedures, constructing and interpreting surveys, using databases, and much more. At the same time he warns working journalists not to get too comfortable with numbers. Philip Meyer's vision of 'precision journalism' as a standard of excellence for our profession is sharper than ever in this thoroughly updated and expanded edition of his classic book. —An easy-to-use text for courses in basic and advanced reporting, computer-assisted reporting, and mass communication research. —An ideal resource for showing journalism students with little math background how to effectively useand report statistics. —A fully updated edition of the classic Precision Journalism (also known as The New Precision Journalism in its third edition), named one of the 35 most significant journalism and communication books of the twentieth century by Journalism and Mass Communication Quarterly.